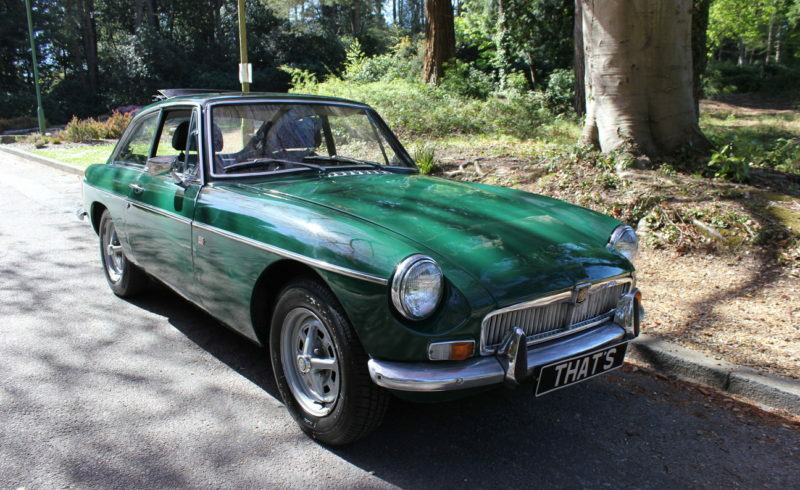 You are looking at a mark 1 MGB GT in British racing green from 1967, It comes with very comprehensive service history and many new parts. It is the very desirable chrome bumper version with the 1.8 engine with twin SU carburettors. It is classed as a “Historic Vehicle” which means that it is tax exempt. It has the popular webasto folding sunroof, great for those sunny drives! !